Isaac, the long-awaited child of Abraham and Sarah, has his story told in Genesis 21-28. Isaac’s wife Rebekah also plays a major role in the story and is decisive in ensuring that Jacob is blessed rather than Esau and that the line continues through the mother’s favored child rather than the father’s. Jacob (later renamed Israel) is the father of the twelve brothers who the tribes of Israel will be named for. Jacob is portrayed from his birth onward as a trickster, but God works with him to set up the beginning of the nation of Israel. Jacob’s narrative runs from Genesis 25: 19-Genesis 50 with his death in Egypt and burial in the promised land. 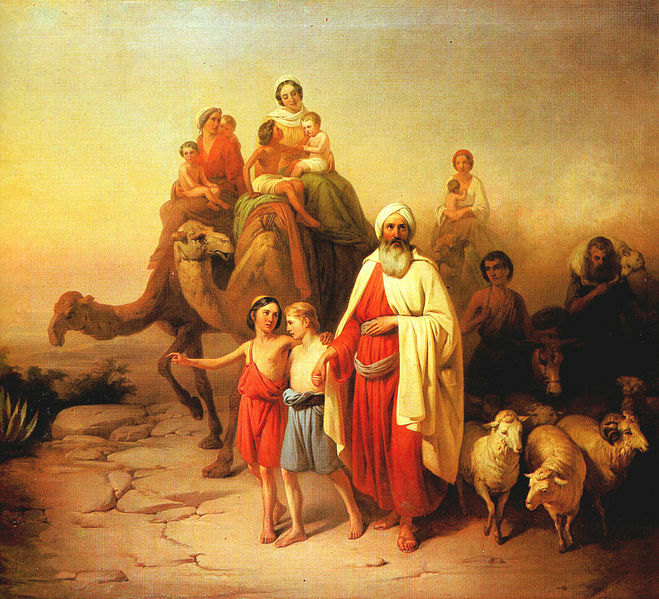 Judah is the third son of Jacob and Leah (Jacob’s first wife). His birth occurs in Genesis 29: 35 and he will continue to be present throughout the end of Genesis even though Joseph will be the primary character. The narrative of Judah and Tamar is in Genesis 38, where Tamar is Judah’s daughter-in-law but when she outlives two of Judah’s children without an heir she takes matters into her own hands and becomes pregnant by Judah and secures a place in the line of Judah and is an ancestor to the line of kings. Perez is born in Genesis 38: 29. The Perezites clan of Judah are named for him. Salmon only appears in genealogies but Rahab is most likely the prostitute first introduced in Joshua 2:1 who shelters the Israelite spies in Jericho. Boaz and Ruth are two of the major figures in the book of Ruth. Ruth is from Moab and is brought into the story by remaining faithful to her mother-in-law after the death of her husband in Moab. Obed only appears in genealogies, there are no biblical stories about him other than his birth to Boaz and Ruth at the end of the book of Ruth. This entry was posted in Biblical Reflections, Gospel of Matthew and tagged 1 Samuel, Exodus, Genesis, Gospel of Matthew, Joshua, Matthew 1, Numbers, Ruth. Bookmark the permalink.